When a couple tapped Coates Design Architects to design a house that could accommodate their baby grand piano, they were also intrigued by the idea of using shipping containers to do the job. In response, the American architecture studio researched cargotecture and settled on a cost-effective solution that combined traditional wood framing with a “container-like” design. 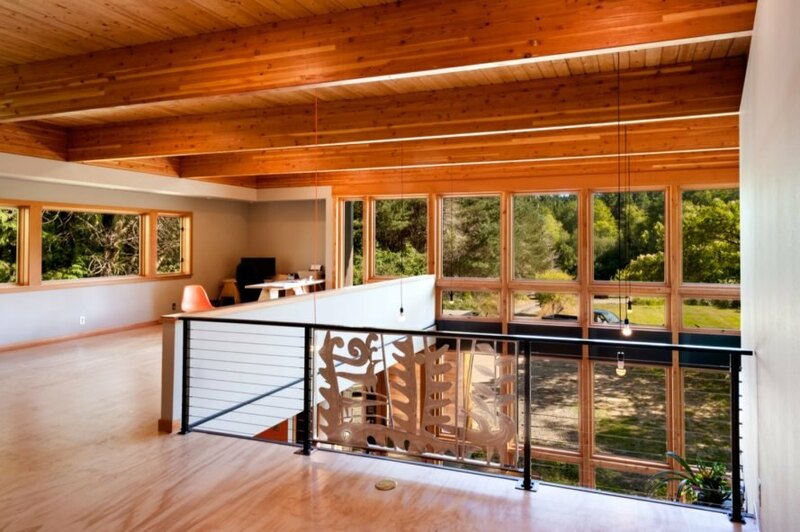 Located on Washington’s Bainbridge Island, the Musician’s House features a layout optimized for acoustics as well as natural ventilation and daylighting. 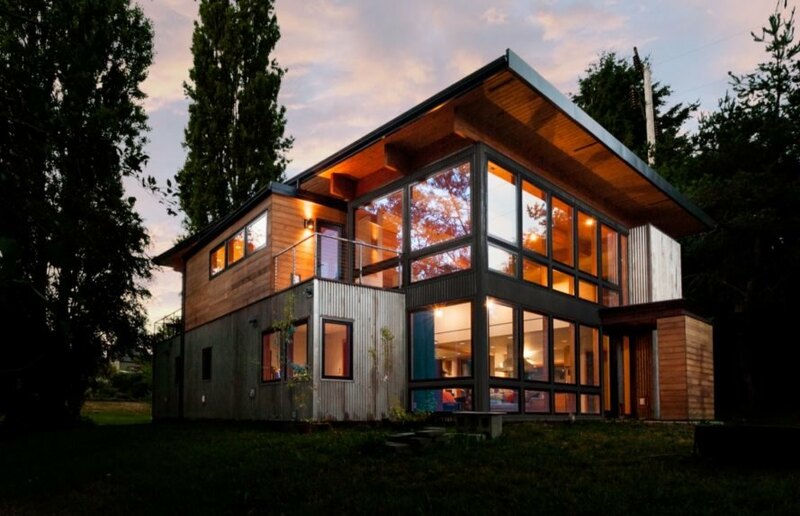 Despite their findings, the architects designed the home with a “container-like” aesthetic using industrial corrugated metal cladding combined with natural materials, including a variety of timber and even a green roof above the entry vestibule. Inside, the Musician’s House comprises a spacious master en suite on the ground floor along with a kitchen and a double-height living and dining area. The upper level houses a guest bedroom suite, workshop, covered outdoor decks and a loft/music room with a connecting studio space. 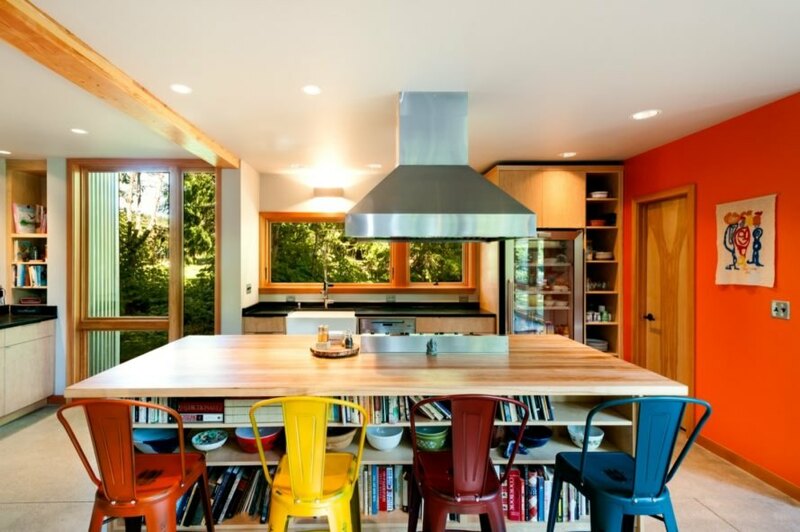 In contrast to the industrial cladding, the interiors are bright, colorful and playful. 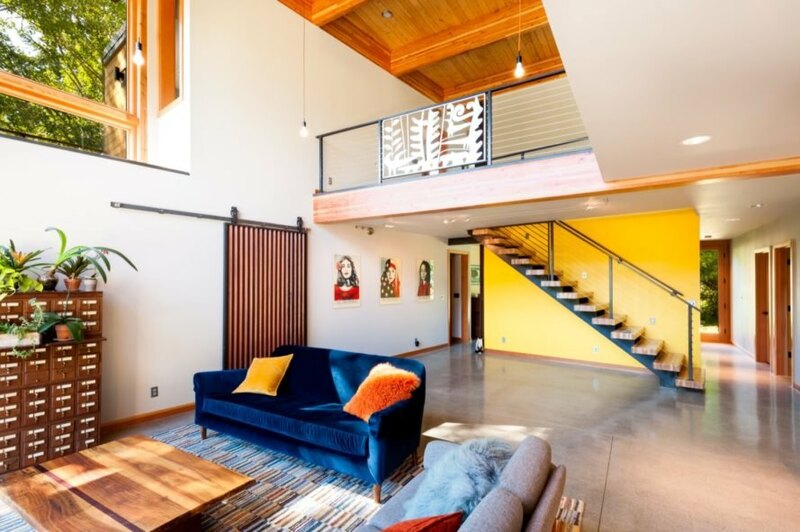 Full-height windows, particularly around the double-height living space, stream in natural light, and select art and furnishings add bright pops of color to the modern home, from the yellow accent wall behind the stairs to the multicolored seating in the eat-in kitchen. Coates Design Architects turned to cargotecture to create a unique home for a musical couple. The Musician's House sits on the pristine Bainbridge Island in Washington. The open living space takes full advantage of double-height ceilings and large windows. Every room is bold and playful, an excellent representation of its inhabitants. The bedrooms offer a serene retreat. The upper floor serves as a work space and studio for the musicians. 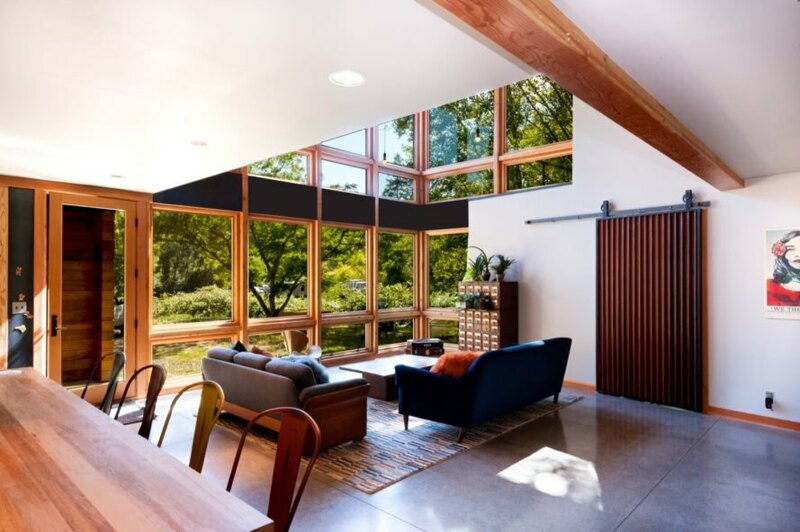 Large windows allow sunlight to stream into every corner of the home. 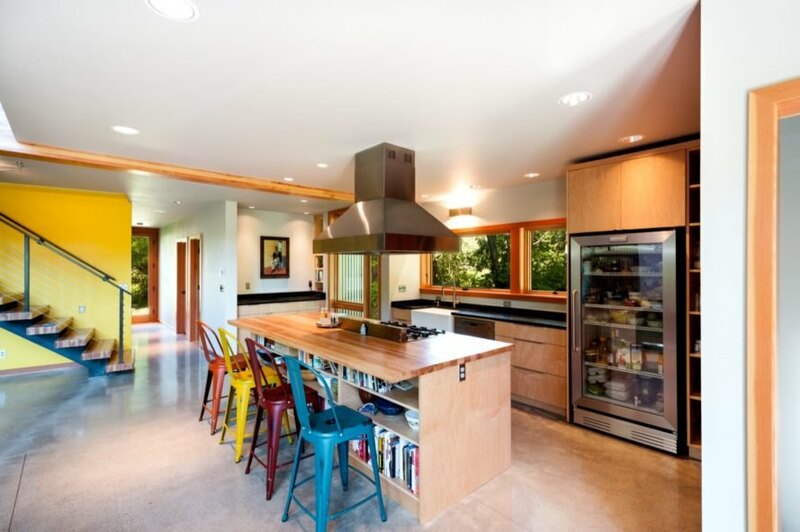 The kitchen is a fun, inspiring space to enjoy meals. Pops of color inside contrast with the industrial-inspired exterior. The home features "container-like" design.